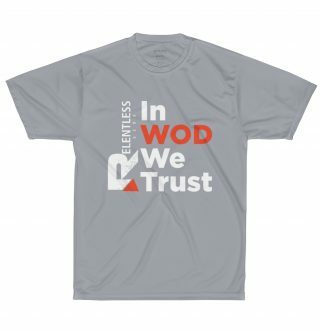 In WOD We Trust CrossFit Performance T-Shirt for the CrossFit junkie in your life! 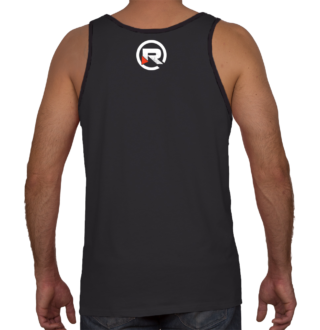 Great fitting moisture management knit in sizes to fit everyone on the team. 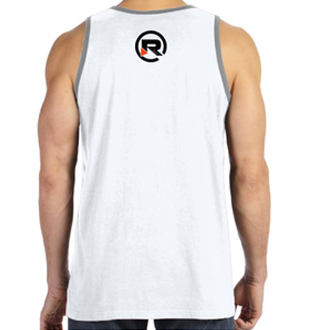 The wicking knit will wick away moisture for superior performance and breathability. 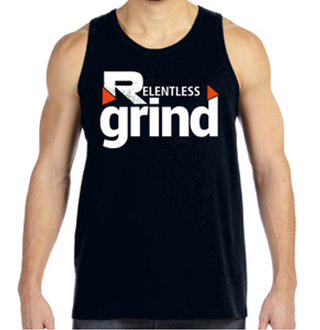 PLEASE NOTE: This shirt is made out of a thin and breathable material so that it's comfortable to wear while you're sweating your #ss off in the gym. 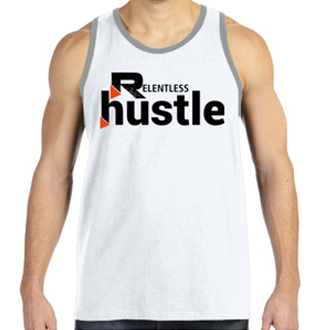 If you don't like t-shirts made of thin wicking fabric, then get a heavy cotton shirt because you won't like this one! 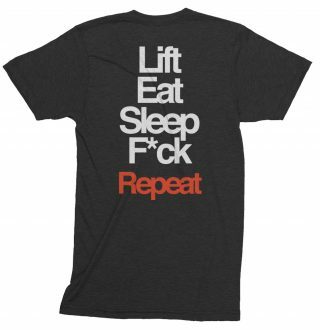 Scroll down for sizing info and nerdy shirt specs. 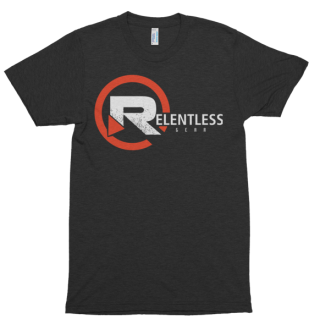 Be Relentless!! 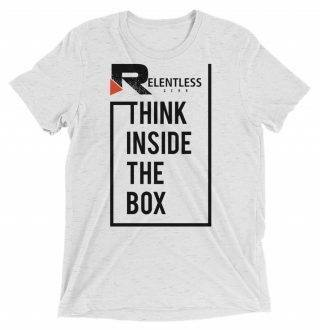 Up your game inside the box with your own Relentless Gear "Think Inside the Box" triblend t-shirt! 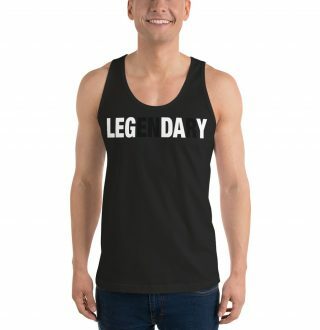 Scroll down for sizing info and nerdy shirt specs. 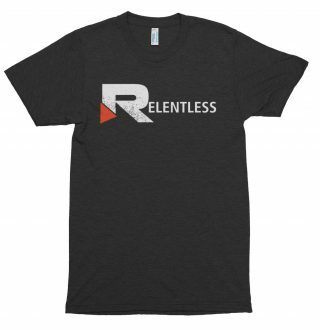 Be Relentless! !